Going public, in any country, is an enormous and particularly challenging undertaking. Even under the best of circumstances, it’s complex, expensive, time-consuming, and this is on top of the day-to-day management of your business. The process – from selecting underwriters to drafting offering documents to the investor roadshow – will seldom go as smoothly as you would like it to, and there are any number of unexpected challenges that can arise along the way. 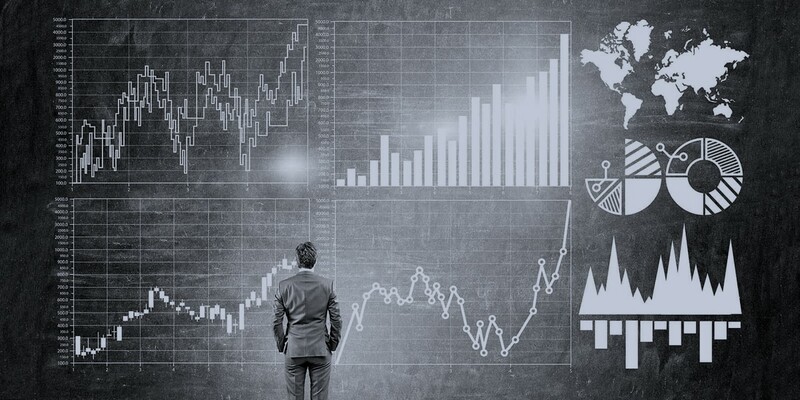 Given that an Initial Public Offering (IPO) is a one-time event in the life of a company, few CEOs and CFOs have much experience with this type of transaction, which is why surrounding yourself with financial, legal and investor relations personnel who are highly knowledgeable and experienced is a must. One of the most challenging aspects of the process for management is working with all the various stakeholders involved in a public offering. While one should expect that interests are aligned, this is not always the case. Founders, controlling shareholders, other selling shareholders, underwriters and management may have conflicting opinions, often about valuation, and sometimes what achieves the highest IPO price might not be the best for the company, its remaining shareholders and new investors in the long run. Maximizing the selling price could result in a mix of incoming shareholders that would not be ideal longer term, and particularly if economic, political and financial market environments worsen in the near to mid-term. We have seen this scenario many times with companies operating in emerging markets that pursue a maximum offering price through allocations mostly to sector-specific investors, such as technology funds, rather than a more balanced approach that would also attract the capital of broader emerging market and global investors. These types of investors may be more likely to hold your company’s shares, or even purchase more, over the long term and, most importantly, during economic and/or political volatility. Such an approach is also more likely to result in a well-diversified shareholder base, which means your company will be less reliant on a relatively smaller base of investors to provide funding for future growth initiatives, allowing you to raise capital more easily and at a favorable offering price. Another important objective is an after-market share price that is sustainable – all else being equal. A falling or volatile stock price can result in investors, as well as research analysts, losing interest in your company and can ultimately raise your company’s cost of capital over the long term. This can be critical when the need for future funding arises, such as follow-on offerings. An ideal offering price is one that allows for upside, in order to support the shares in the after-market, particularly with regard to trading liquidity. For example, an appropriate market valuation allows room for additional investors to take positions in your company. It will also be important to senior managers and other employees who are compensated with stock, as they will want shares that can appreciate in value over time. Ultimately, management has the responsibility to oversee the IPO process in a way that is most successful for all stakeholders and as part of a long-term financial strategy. Such oversight would include, for example, appointing the right investment banks and meeting with the right mix of investors during the IPO roadshow. During the offering process, you want to be working toward an offering price that balances the needs of selling shareholders and investors participating in the after-market. Timing is also an important factor and something that is not always controlled by the company. A company can do all the preparatory work and be ready to start the IPO process, but a successful offering is also contingent upon the macroeconomic environment and the health of the financial markets, more specifically. Per Statista, in the red-hot tech market of 1999-2000 in the US, a staggering 892 companies went public over two years. 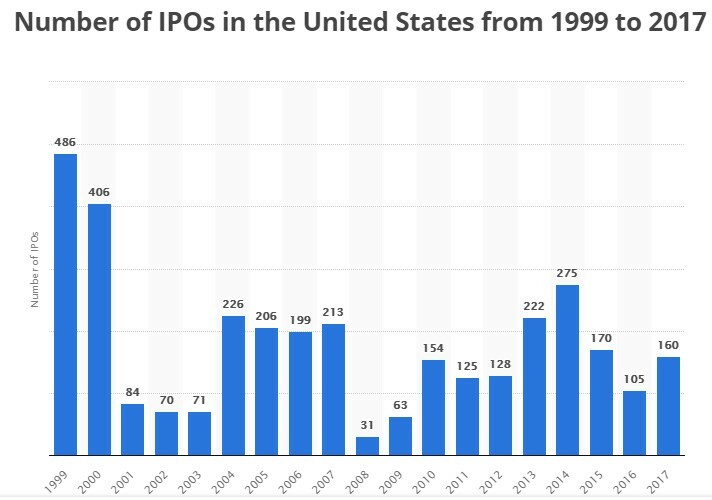 When Internet stock prices collapsed dramatically, the IPO window all but closed; over the next three years, just 225 companies would go public in the US. In like fashion, 2007 saw a surge in emerging-markets IPOs as the equity markets peaked again. One year later, when the global financial crisis began, worldwide IPO activity plummeted to a 13-year low. In the wake of any major financial crises, the IPO market can go from welcoming to hostile very quickly for most companies. There are 32 Brazil-based companies that currently trade on a major US stock market. The benefit of a US listing, first and foremost, is front-and-center exposure to the pool of capital in the US, the largest in the world. Indeed, Brazilian card processor StoneCo sought to tap this vast capital base when it listed on Nasdaq in October, 2018. The company succeeded in attracting no less than the investment luminary Warren Buffett, whose Berkshire Hathaway took an 11.3% stake in the fintech firm. But even after attracting the Oracle of Omaha, as Mr. Buffet is known, Stone has been subject to significant price pressure since its IPO, partially reflecting the volatility of the US financial markets since that time. The US market is also home to the largest base of technology investors and research analysts, making it particularly attractive to Brazilian companies that operate in this sector. Companies with few or no local peers, would also find the US market more attractive given the deep market of potential peers and specialized research analysts. Going public in Brazil is at least as challenging but offers its own distinct advantages that should also be explored. PriceWaterhouseCoopers has published a basic outline of what to expect, but even this simple overview is 98 pages in length. 1) IPO readiness: The necessary steps that a company needs to take in order to begin the offering process can include restructuring legal entities, tax planning assessments, restating financial statements, and adopting certain corporate governance standards. The nature and scope of these measures will depend on whether the company is listing as a Foreign private issuer in the US or as a “local issuer” in Brazil. 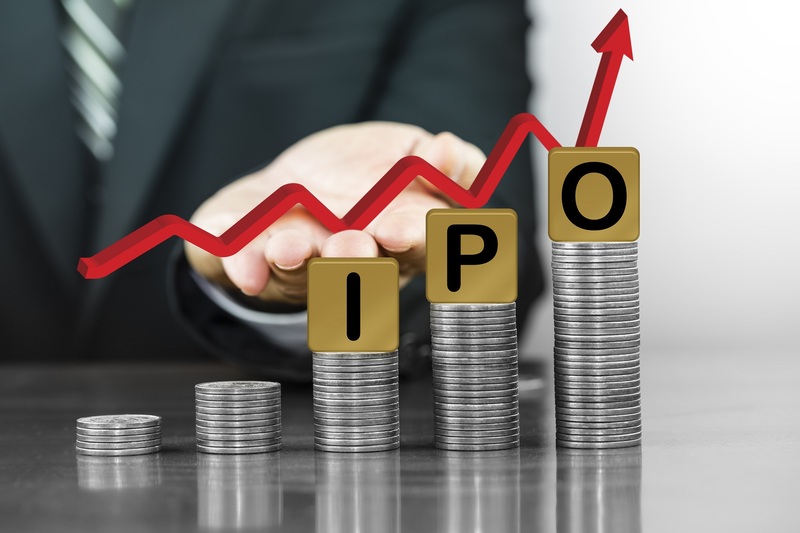 2) The IPO process: While the offering process itself is quite similar, whether you are listing in Brazil or the US, there are some differences that should be considered as part of the planning process. Preparing the offering documents is one of the most time-consuming as well as tedious tasks in the process and failing to prepare them properly results in regulators requesting revisions to them, potentially delaying and even jeopardizing your IPO. Timing is everything, and Latin American issuers usually face very short windows of opportunity in the ever-fluctuating global financial markets. Missing your IPO window could be the singular deciding factor between success and failure of your company, and sometimes this part of the process is underestimated. While putting together an offering document for a US listing seems easier than the local “formulario de referencia”, which entails a great level of disclosure, accommodating regulatory revisions can be a difficult and lengthy process and is one for which you must be prepared. 3) Disclosure: Here is where making the transition from being a private company to a public one can be particularly difficult. Suddenly, large amounts of information are available for your competitors to see. Further, bear in mind that financial reporting is required on a quarterly basis, which is a significant time commitment. While disclosure requirements can vary between Brazil and the US, it is likely your company would be expected to provide information that would meet global best practices if it is to attract sufficient demand for your company’s shares, obtain an optimal IPO price, secure sufficient research coverage by investment banks, as well as maintain a fair market valuation over the long term. Investors and research analysts will often favor a company that discloses the most information, all else being equal. 4) Underwriters: The investment banks you chose has implications for the after-market as well as the IPO. With respect to the offering, it is crucial to choose underwriters that have sufficient distribution and investor relationships in the chosen country, to ensure sufficient demand for your company’s shares. These banks also need to have sufficient capital to support after-market trading. Another important consideration is their capacity to provide research coverage, particularly research by analysts whose opinions are respected by investors. 5) Aftermarket liquidity: You must be given reasonable assurance that the country’s market for your company’s shares will be sufficiently liquid after the IPO so as not to adversely affect its market valuation. If the subsequent trading in the shares is illiquid, this could cause them to trade at a discount to your company’s intrinsic value and/or its sector peers. That is because poor trading liquidity can deter certain investors. It can also make it difficult for an investment bank to maintain research coverage. Conducting an IPO, regardless of the market chosen, is a significant and complex undertaking. For each of the steps involved in the process, there are advantages to choosing one over the other. Crucially, there are at least as many ways to make mistakes when initiating, executing, and attempting to complete the steps of an offering. The various decisions you make along the way can either be opportunities to position your company well in the financial markets, setting the stage for a successful public debut and future fund raising efforts, or be mistakes that can haunt your company for many years to come. Working with experienced and savvy advisors who understand the pros and cons of listing in either Brazil or the US offers the best return on investment you can earn at the one of the most critical junctures in your company’s history.